January | 2016 | This is Z life! There are a lot of things that we need this year as a family. As missionaries, we are not paid by our organization. Instead, we raise our needs by challenging people to help us (monthly or annual donation) financially and through prayers. Last year we went down the drain. For almost 4 months we didn’t have an allowance. We used up all our savings, our back up savings, and th e back up of those back up savings. Having two toddlers, even if you are full of faith, will make you start doubting God and yourself, whether you can really provide for your family or not. As of now we have raised 78% of our monthly needs. Since our school will have a prayer and fasting week, I was eager to participate in it – to get to my knees and show God how desperate I am for Him to complete our needs. That’s what fasting is all about, right? The prayer and fasting started last Monday and here are some of the things that I have learned. 1. Fasting is not a way of pleading to God. I was reading the book Too Busy Not To Pray by Bill Hybels. He used the story of the persistent widow in Luke 18. The widow here is asking justice from the unrighteous judge. She was turned down several times but because she was soooo persistent the judge gave way to her plea for her not to bother him anymore. Hybels said that we often misinterpret this story. We often think that Jesus was teaching his disciples to plead through prayer for God to hear them. I often think that way also. But I realized through the book that is not the intention in the story. That is not what I know about God. Though God is righteous and just, I also know from experience that He is a loving, gracious, and giving God. He is my father and a father would give anything in a heartbeat to his child whatever that child needs. We are not like the widow also that we need to beg for his attention. If we have a personal relationship with God, we have the right to talk to Him as his children. Which means we can go to Him for whatever and whenever we like. We plead to God because we are desperate for Him, for his presence, and not because we are desperate that we are not his priority. So, what’s the point of fasting anyway? 2. Fasting is to become closer to God. Fasting is for us to become closer to God. It’s like a time of the year where you would get to know someone more as you spend time together on vacation or on a special get away. Or a time to celebrate with that special person and reminisce the good and the bad of your relationship. I think that’s what fasting is all about. After fasting we should feel more grateful for the relationship we have with God and be more excited for the years to come. 3. Fasting makes you humble and appreciate the essentials. When I was in college, a mentor taught me about fasting. She simply said that you will not have food for the whole day except water but you will be in an attitude of prayer. Then after a while some friends told me there are other ways of fasting. For some, you just eat vegetables. For others, soup. And there are those who just give up lunch or dinner, especially those who have medical conditions like gastritis, etc. I don’t know what is the right way to fast. As far as Jesus’ example is concerned, the way he did it is that he didn’t have water and food for forty days and forty nights. Nowadays I am learning that giving up facebook or any form of social media is a form of fasting—you’ve got to be kidding me! Really? We fast because we are telling God that we’re willing to forego even the two most essential things in life (food and water) to humbly say to Him that only He could sustain us. Actually it’s like a love letter to God telling Him you are the air that I breathe if only I can also forgo that. You are the only most important thing in my life. That without Him we cannot live. That’s why it is ridiculous for me to know that we fast on facebook and social media.It makes me sad what this means. Does this mean that we cannot really live without it in our lives? We already categorized it as the one of the essentials in life? If that is how we are thinking right now, we need to start questioning our spiritual life or life itself. I realized that we usually do fasting because we want God to do the things that we want to happen in our life. A prayer request, wishlist, bucket list, goals, etc. Is that bad? I don’t think so. He encourages us to do that actually. But we sometimes treat God as a genie or Santa Claus. We would be nice by fasting so he can grant our wants in life. What is our difference then with people who line up and walk for almost 24 hours on a procession with millions of people not minding the danger just to hold on to that rope? I think it is just the same. Fasting has become a Christian’s religious vow. A Panata in tagalog. This is one of the dangers that I’m aware I am doing when I fast. What I am saying is check your heart. Why are you really fasting? Is it us telling God, “I want this” or “I want you”? It is hard especially for people like me who love to cook and eat. The first two days were okay but on the third day, I was already dreaming of food. Food that I want to eat. Food that is eating me alive. Food that is talking at me. What’s harder for me this time is that both of our daughters have been sick. My youngest got bronchitis. She cried the whole day and won’t eat. Her fever was up the whole night and she doesn’t want me to put her down. I carried her the whole morning and even until she slept at night. I was tired (with no sleep), hungry, and angry. On the third night of our fasting I was ready to kill someone. Then I remembered to pray. I asked God to help me, and give me strength and wisdom. Around 11:30 in the evening I felt God say, Why don’t you eat? So I went to get a cup of rice and adobo. I ate. I felt bad that I ate, but I sensed God was telling me that fasting is not a game or a test. He is not grading it. There’s no winner or loser. He assured me that I am not failing on fasting but I was failing with the condition of my heart towards fasting. He just wants to spend quality time with me but because of the condition of my heart at that time, I don’t think He was pleased. After eating, I felt good and energized. Energized to take care of my daughter and pray to God. I continued fasting the next day until Friday. 5. Fasting is about prayer. Because we are hungry when we fast, we often forget to pray and miss the purpose of fasting. Every time you feel hungry or tempted to eat, pray. I think our hunger during fasting is a reminder that we need to pray to communicate with God or to read and “eat” His words. At the end of the fast we should be hungrier not on food but of God. We should feel that 5 days was not enough. We want more of Him. We want to pray more and do it more. Fasting made me realize how much I have been needing God in some areas in my life. I always thought that quiet times and reading the Bible are enough to fill me with God. But fasting makes you see the other areas in your life that are lacking of the presence of God. The areas where I need to let God be God and be control of it. I pray that at the end of this year I am one step closer to Him and wanting more of Him. How about you, have you tried fasting before? What have you leaned? On New Year’s resolutions,fasting and being fit. When I was in college I developed a habit that whenever new year comes I would have quality time with God and seek Him through His word on what I can claim to live by for the whole year. Instead of new year’s resolutions I would study my verse and list the things that I need to do or remember for the whole year through that Bible verse. Thus my year verse was born. This is a verse/verses from the Bible that I will hold on to whatever is happening in my life. May it be a rebuke, a reminder, a promise, or something that i need to learn. I would hold on to it until I can go through my whole year. This year, my year verse is in Luke 2:52 “And Jesus grew in wisdom and stature, and in favor with God and man.” (NIV). Of course, I want to be like Jesus but I want to be more like Him this year by focusing on some areas of my life. I want to grow in being physically fit. I want to be healthy and fit even as I get older and be with my children as they grow. I want to grow emotionally by stepping up in serving our community in IGSL where I am a missionary. Lastly, I want to grow more spiritually through prayer. Whenever I am pregnant I would gain 15-20 pounds but eventually lose it once I start breastfeeding. My last one for our second child, Xiana, I lost more. I actually went down to my weight pre-dinosaur era (a.k.a. College days). But once my baby starts weaning, the weight starts coming back fast. I am in my heaviest again for the second time. So I am announcing it here to be accountable to you that I will start to lose weight again. I did it when I gave birth to my first child and lost 40 pounds. Hoping that I can do it again this time. After giving birth to Xiana in 2014, I was on a leave as a missionary to become a full-time mom. I would help the school once in a while but on project basis only. But this year I am stepping up to help more. I have been thinking of writing stories about our school. Since I became a missionary or started working at IGSL, I sometimes wonder where does my college degree in mass communications fall. I know God is sovereign, but there are times that I think maybe it was just a way for me to go to college and become a Christian there but that I would never use whatever I learned from college. This year I think God is opening an opportunity for me to use it. I know I am not that good but I think our school doesn’t have a choice because I am the only one who is interested to do it. Our school has a yearly prayer and fasting. I have never participated since they started it because I was either pregnant or breastfeeding. Since Xiana is weaning this year I am going to do it. I know this will be hard but because I want to grow in my prayer life, I think fasting is the best way to start. I am excited with what this year holds for me and my family, but most specially I am excited about how I can be one step closer to God at the end of this year if I will be faithful with my year verse. How about you? 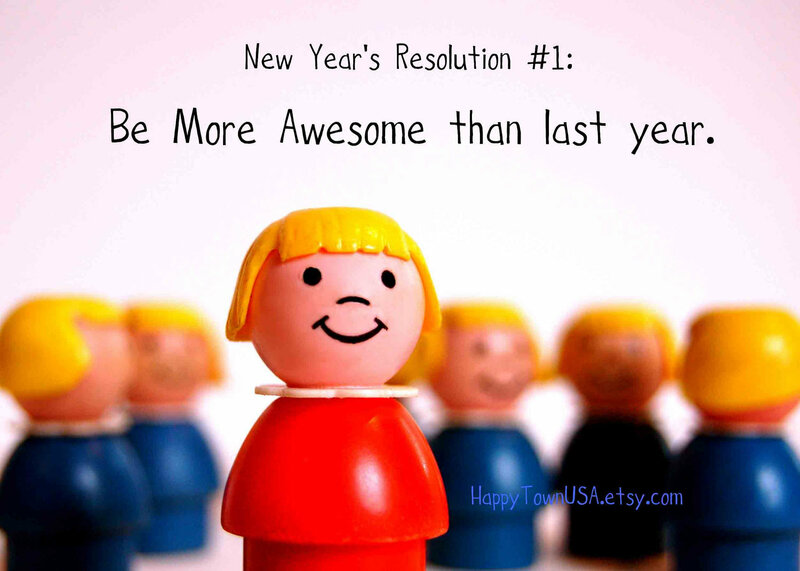 Do you have new year resolutions or some things that you do at the beginning of the year? Maybe you can share it with me so I can learn from you.